with our complete end-to-end SaaS and on-premise solutions. 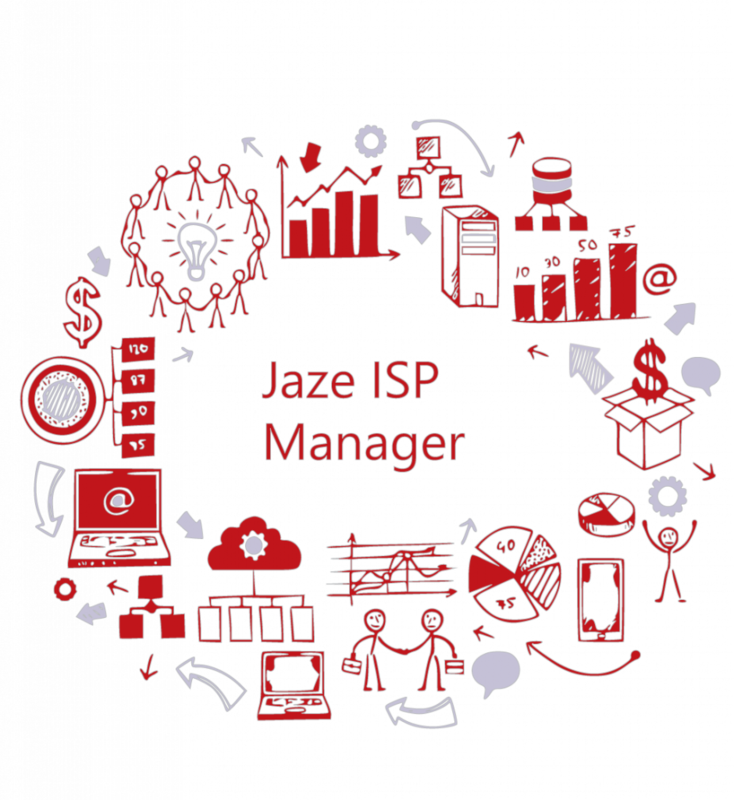 Jaze ISP Manager enables Internet Service Providers(ISPs) to centrally manage end-to-end operations of their business. The solution supports flexible deployment options including cloud-hosting on a SaaS model and on-premise deployment as well. All aspects of your ISP business starting from lead management to provisioning, subscriber life cycle management, policy enforcement, billing and franchisee management, self-service portals, customer mobile apps, helpdesk, inventory management and much more. The solution is also designed to scale out to more than 2,50,000 subscribers in a single deployment also with redundancy and high-availability built into every aspect of the application. 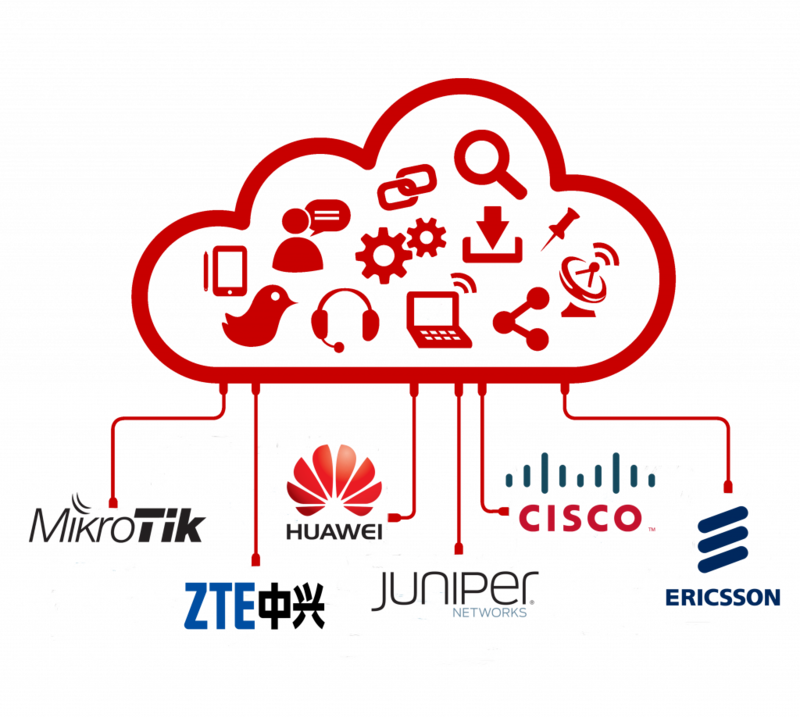 Jaze ISP Manager provides complete AAA, billing and operations management modules and integrates with a wide range of leading NAS equipment including Cisco ASR 1000 and 9000 series, Juniper MX series, Huawei NetEngine, ZTE, Mikrotik routers and also any NAS having RADIUS integration capability. The solution also integrates with Wireless LAN controllers from major vendors such as Cisco, HP Aruba, Ruckus, Cambium and others for service providers looking to provide Wi-Fi hotspot services on their networks. Jaze ISP Manager helps you manage complete subscriber life cycle from the point of first contact to termination and beyond. Integration with 20+ payment gateways with advance pay and automated renewals with mobile app for payment collection. End to end lead management from enquiry to lead qualification, feasibility tracking, payment collection to service activation. Customizable customer facing portal with options to view usage, manage payments and raise tickets along with mobile app. Data limits, FUP plans, post-FUP data packs, Peering policies,Time-based plans, MAC restrictions and pool management. Multi-tier franchisee models with flexible pricing and business model configuration with complete statements and accountability. Manage your stock of network gear across multiple locations and equipment deployed on field and at customer premises. 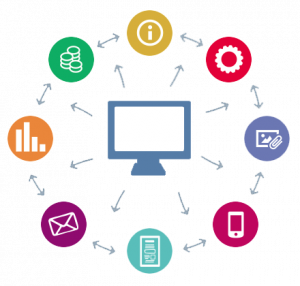 Access from any mobile device to add users, trigger renewals, capture and manage leads, payments, and monitor usage. Automated billing with Multiple billing models like prepaid, postpaid, pay-as-you-go and prorated billing with flexible pricing. 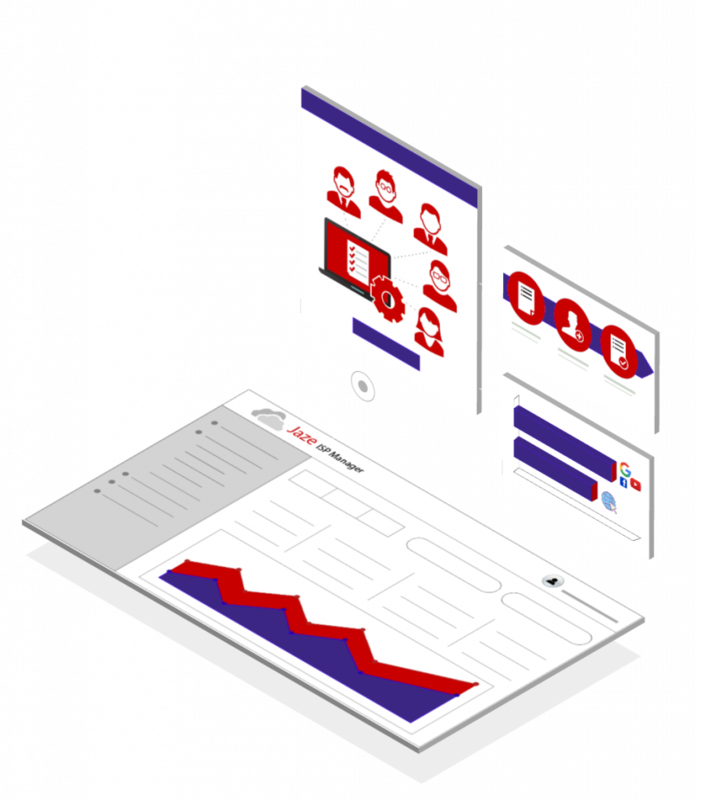 Complete support management with ticket classification, assignment and escalation with multiple modes of ticket creation. Send automated SMS and Email notifications to your subscribers for payment reminders, ticket status and more. Manage NAT logs and session logs for regulatory compliance along with CALEA and LI stored efficiently with compression.